It has started calling itself a "near-Arctic" power, even though Beijing is almost 3,000km (1,800 miles) from the Arctic Circle. It has bought or commissioned several ice-breakers - including nuclear-powered ones - to carve out new routes for its goods through the Arctic ice. You've got to go there to get an idea of how enormous Greenland is. It's the 12th-largest territory in the world, 10 times bigger than the United Kingdom: two million square kilometres of rock and ice. Every day, small numbers of people gather in the centre to sell things that will generate a bit of cash: cast-off clothes, children's schoolbooks, cakes they've made, dried fish, reindeer-horn carvings. Some people also sell the bloody carcases of the big King Eider ducks, which Inuits are allowed to hunt but aren't supposed to sell for profit. There'll be pressure from the Danes and Americans to ensure the Chinese bid doesn't succeed, but that won't stop China's involvement in Greenland. 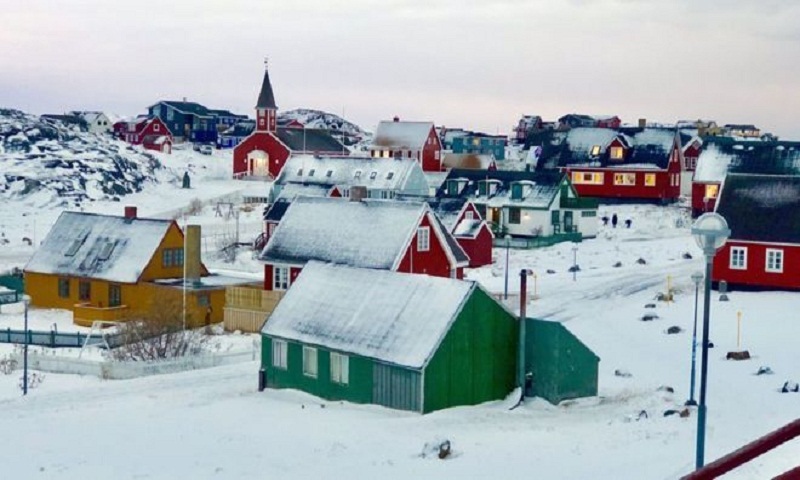 The Greenlandic prime minister and foreign minister refused to speak to us about their government's attitude to China, but a former prime minister, Kuupik Kleist, told us he thought it would be good for Greenland. "We don't want a communist dictatorship in our own backyard," he said. China's sales technique in other countries where its companies operate is to offer the kind of infrastructure they badly need: airports, roads, clean water. The Western powers that once colonised many of them haven't usually stepped in to help, and most of these governments are only too grateful for Chinese aid. China gets access to each country's raw materials - minerals, metals, wood, fuel, foodstuffs. Still, this doesn't usually mean long-term jobs for local people. Large numbers of Chinese are usually brought in to do the work. Country after country has discovered that Chinese investment helps China's economy a great deal more than it helps them. And in some places - South Africa is one of them - there are complaints that China's involvement tends to bring greater corruption. But in Nuuk it's hard to get people to focus on arguments like these. "We need it, you see," he said.